Enjoyed the world over for its smooth crisp and clean taste, Cutty Sark is made from a blend of over 20 of the finest single malt whiskies. 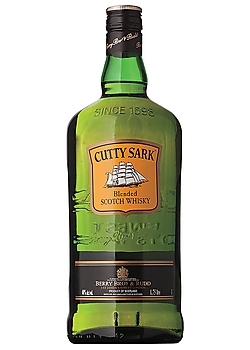 Inspired by the famous clipper, built in 1869 and the fastest sailing ship of her day, Cutty Sark is original in style and one of the acclaimed whiskies of the world. Carefully chosen oak casks develop the individual character of each whisky in the blend, gently imparting color during maturation.